I think it began in school, when we read about Sartre and Simone de Beauvoir. They started my fascination with couples that share both heart and brain. The couples that, apart from the romantic bond, physical attraction and private journey, also take an active part in each others professional and intellectual developments and platforms. And by that I don’t mean couples that work in the same office or company. I mean something much more intimate and profound. Sometimes one is the leader or guide, sometimes the other but with power balance. It’s not what suits everyone. But for me, it is what I aspire to be and have, regardless of whether it is during 2 months, 2 years or 20. Just as it is important to have your own mental space in a relationship, it is also a beautiful gift to see your passion and goals embraced by another person’s soul and mind. I believe in this as a way of enriching relationships, as a way of building relationships, as a way of discovering the designated nature of a relationship and as a way of preserving the non-transient values of an ended romantic relationship. 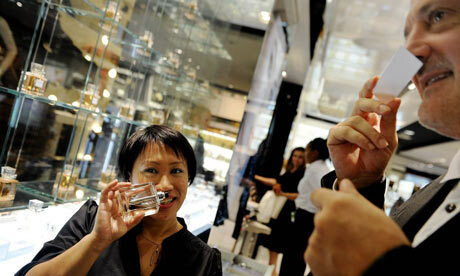 The perfume world has a few examples of couples that share both private passion and perfume passion. The first one that comes to mind is of course Luca Turin and Adriana Sanchez. Adriana Sanchez had a blog, and scientist Luca Turin was one of her readers. One day in 2005 he posted a comment. They met and started talking about their mutual passion for perfumes and fragrances. The conversation eventually led to love, marriage and a book. In 2008 they released “Perfumes – The Guide”. There is a really nice interview with the couple where Tania Sanchez says: “We made a bet as to which was the worst fragrance in the whole book.” They must have so much fun together. There are so many ways to have fun together. “Somebody looked over me, and this guy was so persistent. And it was love at first sight. He’s like my guardian, he’s very patient and a very special person to me. Best of all, I could share my love of fragrance with him, which is not true of many men.” In their home, he cooks becuse she can’t have hands that smell of garlic at work. There are several perfumes that were made by a nose with the heart. In the Byredo range, there is Blanche, which Ben Gorham created for his girlfriend when she was sensitive to strong scents. A famous dedicated perfume is Le Parfum de Thérèse which was created by Edmond Roudnitska in the 1950’s as a tribute to his wife. 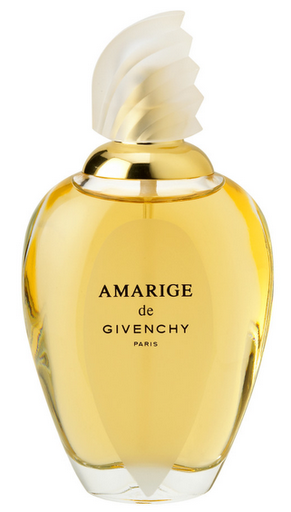 For a long time the only person who could use this scent was Thérèse as the composition was a secret. After many years however, she shared the formula with Frédéric Malle. It is still made and sold by his perfume house as a fragrance for both men and women. Speaking of marriage – and of sharing passion and creativity. There is a recent interview in Swedish Dagens Nyheter with director Jonas Åkerlund who often works with his wife, Bea, a renowned stylist. They prefer to work together as they inspire each other and reflect each other’s creative and aesthetic worlds. In the interview Jonas describes how they both make each other better at work, and how their private life is at its best during shared projects because when they are separated they are “apart, not in sync and in different worlds”. I think this describes it so very well. One of my favorite creative couples is jewellery designer Efva Attling and her wife singer and writer Eva Dahlgren. Both of them are extremely strong, talented, sensual, inspired and successful in what they do. In an interview with Eva earlier this autumn Efva was asked to describe her and said: “We have the most fun when we travel and meet people. Then we also become new to each other and find new things to tell each other about. We talk about everything, It’s possible that I talk more about my business than she does about her writing. I never insist on finding out more, I let her tell me things if she wants to. We really fill eachothers gaps. I have evolved enormously.” The last sentence is my favorite. I believe we sometimes underestimate the value of the feeling in relationships. I think it’s not unlikely that Efva Attling could make a fragrance. It is likely that it would be made with great care and very elegant. You might think that this post went off topic or that I lost the red thread. Well, I like to live life with many threads of different colors and many red ones as well. They are all part of the same pattern. And hey… this is my blog. The next post will be on giving your beloved perfume for Christmas. I think you will understand then why I wrote about these things tonight. I leave you with a good night in the form of one of the most beautiful songs ever written in Swedish. It’s by above mentioned Eva Dahlgren. Why does not someone make films about fragrances that look like this? It is not a very far-fetched idea… The song is “Vem tänder stjärnorna” which means “Who lights the stars”. Sleep well.